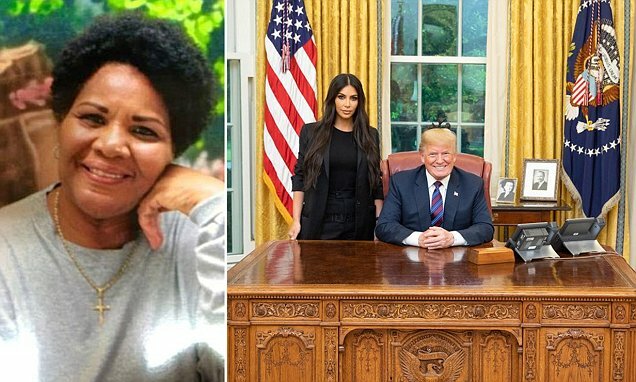 President Donald Trump has freed a first-time drug offender and grandmother whose case has been championed by reality TV star Kim Kardashian. 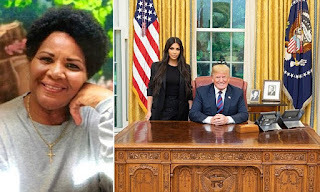 He commuted the life sentence of Alice Johnson, 63, after the personal plea in the Oval Office from the reality star. 'Telling her for the first time and hearing her screams while crying together is a moment I will never forget,' Kardashian tweeted. 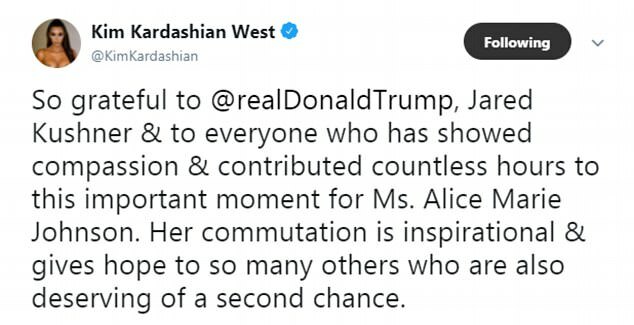 Trump met with Kardashian last week to discuss Johnson's case in the Oval Office. 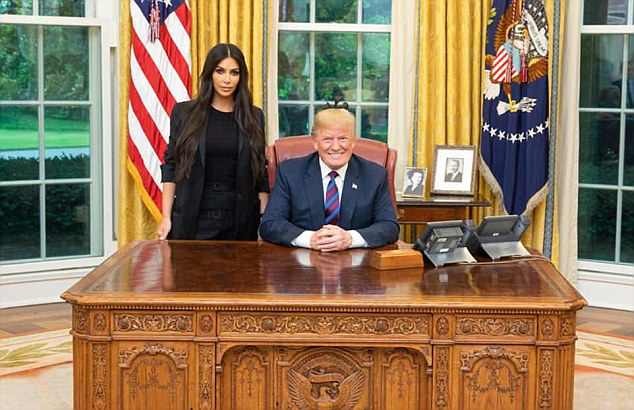 The White House shared a picture of Kardashian and Trump, who was grinning from ear to ear, after the meeting that reporters were not allowed anywhere near. 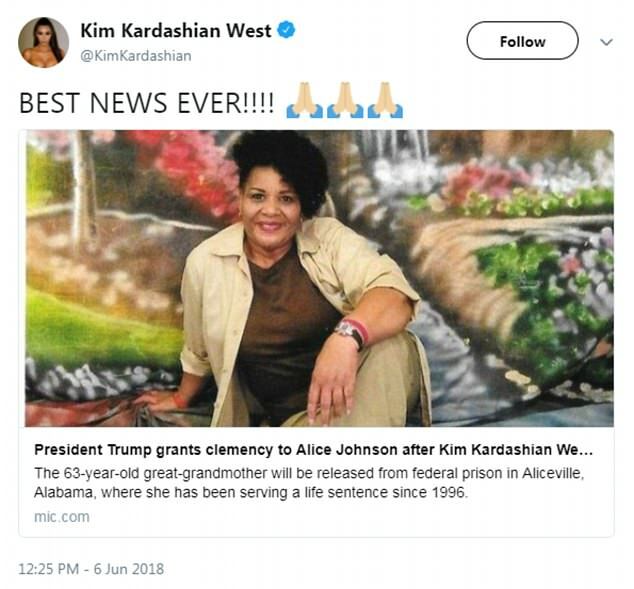 Johnson's attorneys had prepped Kardashian for the meeting with Trump where she begged for clemency for the for the great-grandmother. The statement added that the administration believed in being tough on crime but believed in giving a second chance to those who tried to better themselves in prison.